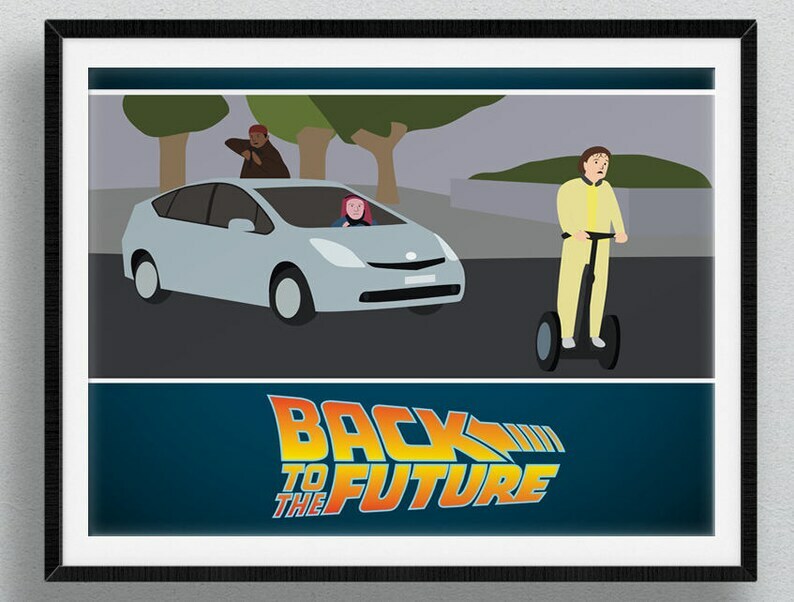 This print listing is for a modern update of the 1985 Robert Zemeckis film Back to the Future... starring Michael J. Fox, Christopher Lloyd, Lea Thompson and Crispin Glover. Loved the product, fast shipping!